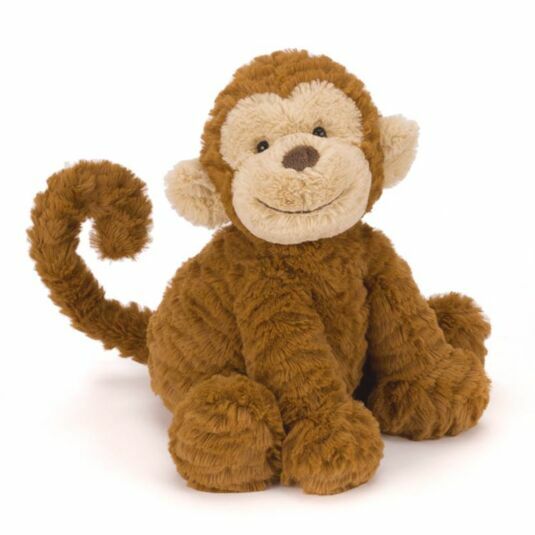 Softly rippling fur and a sweet smile will make this monkey your child’s best friend. His arms are open wide for big hugs and he sits on a shelf in a cute pose when waiting for playtime. With a coat of gingery brown and muzzle and ears of honey gold, Fuddlewuddle Monkey is the best dressed playmate in the jungle!